The European Research Council (ERC) funded our research and its academic dissemination, but we believe that our results are so relevant to the European identity, and to a better understanding of today’s digital revolution, that we need to communicate them straight to the widest public. 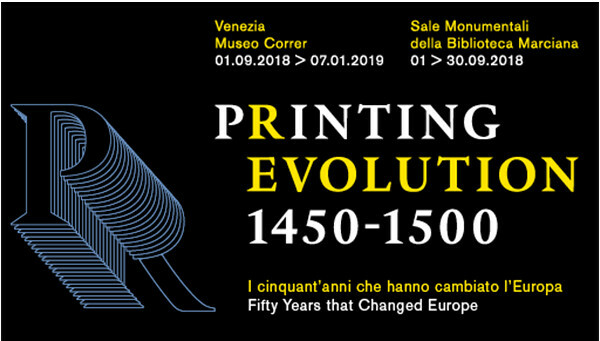 That is why we are organising the Printing Evolution exhibition at the Museo Correr in Venice from 1 September 2018 to 7 January 2019, for which we have no budget, and for which we seek your support. Banca Intesa San Paolo is our first and main sponsor, but we still need to raise £100,000. via our online giving form. Specify 15cBOOKTRADE Project in the space next to ‘Another Area’ in the second section and post it – along with a cheque made payable to Oxford University Development Trust – to the address on the form. Your name will be recorded among our visionary patrons, if you wish, and included in the exhibition, its catalogue, and on the website which will host, after the exhibition is over, the digital content that we prepare. Any funding received in excess of the costs for the exhibition will be invested in the project, to enable the inclusion of more library collections of incunabula from around the world into our databases. Please accept our heartfelt thanks for your generosity.